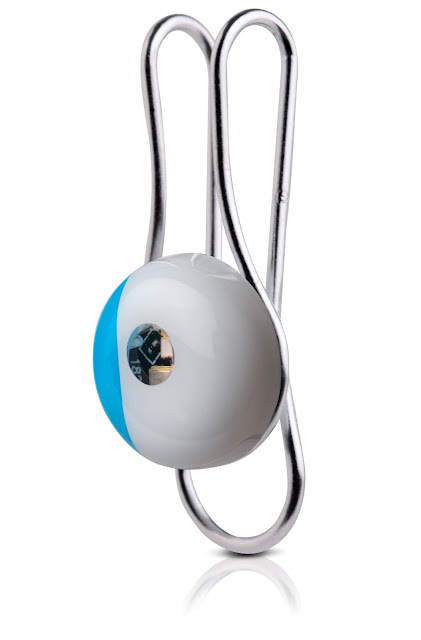 L'Oréal Launches La Roche-Posay My Skin Track UV--The First Battery-Free Wearable Sun Safety Sensor--In The U.S. 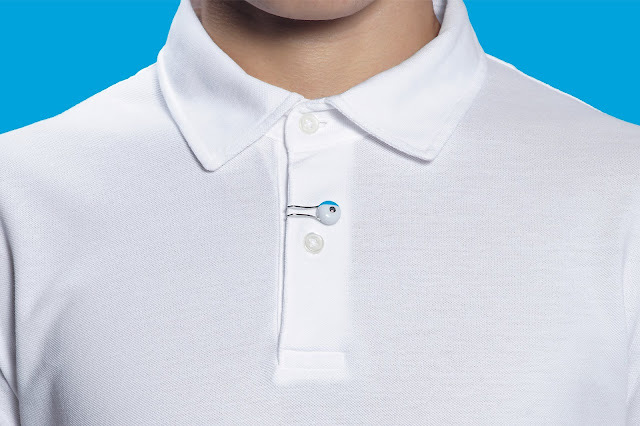 Continuing a decades-long commitment to skin and sun-safety research and innovation, L'Oréal today announced that La Roche-Posay My Skin Track UV—the first battery-free wearable electronic to measure UV exposure—is available now at apple.com and select U.S. Apple Store locations. This marks the first time MySkin Track UV, which was developed by L'Oréal's Technology Incubator and unveiled to acclaim at the 2018 Consumer Electronics Show, will be available to consumers in the U.S. With a precise sensor that measures individual UV levels and a companion app that tracks your exposure to pollution, pollen, and humidity, the launch of My Skin Track UV allows users to make more informed choices when it comes to their skin. "Our research has long indicated the need for better consumer understanding of personal UV exposure," said Guive Balooch, Global Vice President and Head of L'Oréal's Technology Incubator. "We created this battery-free sensor to seamlessly integrate into the lives, and daily routines, of those using it. We hope the launch of this problem-solving technology makes it easier for people to make smart, sun-safe choices." The award-winning La Roche-Posay My Skin Track UV measures both UVA and UVB rays, and provides instant status updates while storing up to three months of data. The battery-free sensor is activated by the sun and powered by the user's smartphone using near-field communication. My Skin Track UV relays stored data to its accompanying app through an easy single-touch function: users simply tap My Skin Track UV against their smartphone to update the app. In addition to extensive UV data, the app—which seamlessly integrates with Apple HealthKit—provides insights into humidity, pollen, and pollution levels. Designed in collaboration with visionary designer Yves Behar, the discreet wearable sensor is 12mm wide and 6mm high, waterproof, and has a sturdy wire clip that can conveniently attach to clothing or accessories. My Skin Track UV was co-developed with L'Oréal's leading skincare brand, La Roche-Posay, which works closely with dermatologists to develop safe and effective skincare products for patients worldwide. La Roche-Posay's line of Anthelios sunscreens has won over 60 beauty industry awards to-date. In 2016, La Roche-Posay and L'Oréal launched the first-ever stretchable skin sensor to monitor UV exposure, My UV Patch. Ensuing consumer studies showed a resulting increase in sun-safe behaviors, with 34 percent of participants applying sunscreen more often and 37 percent seeking shade more frequently. Both My Skin Track UV and My UV Patch draw from partnership and research L'Oréal conducted in conjunction with Professor John Rogers from Northwestern University, through his portfolio of intellectual property (IP) and innovation around flexible, stretchable electronics and millimeter-scale wireless technologies, with two leading wearable companies—MC10, Inc. and Wearifi. "La Roche-Posay believes that better looking skin starts with healthy habits. That's why we are committed to bringing scientific progress directly to consumers, so that they can make well-informed decisions that will help them take exceptional care of their skin," said Laetitia Toupet, Global General Manager of La Roche-Posay. "The research that went into the development of this technology indicated that wearables have the power to inspire true behavioral change by helping people measure and understand their exposure to various environmental aggressors and take action." My Skin Track UV is now available at apple.com and select Apple stores in the U.S. for $59.95 MSRP. For more information on My Skin Track UV, visit www.laroche-posay.us.